Fri., 14 Jun. - Fri., 14 Jun. Mon., 24 Jun. - Sat., 10 Aug. Thu., 4 Jul. - Wed., 24 Jul. Sun., 27 Oct. - Sun., 27 Oct.
See all 442 properties in Charlotte-Douglas Intl. Situated in Charlotte, this motel is within 6 mi (10 km) of Carolinas Aviation Museum, Bank of America Stadium, and Billy Graham Library. Lake Wylie and Bryant Park are also within 6 mi (10 km). 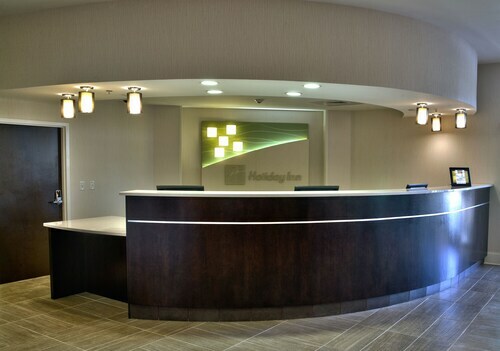 Just off I-85, this hotel is less than 2 miles from the Charlotte airport and 6 miles from downtown Charlotte. Situated near the airport, this hotel is within 6 mi (10 km) of Carolinas Aviation Museum, Billy Graham Library, and Lake Wylie. Bryant Park and Charlotte Regional Farmers Market are also within 6 mi (10 km). 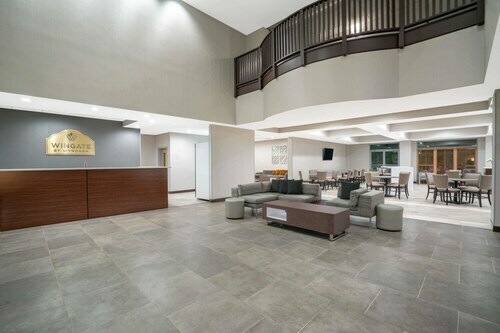 Situated in Charlotte, this hotel is 2.7 mi (4.4 km) from Carolinas Aviation Museum and within 6 mi (10 km) of Bank of America Stadium and Charlotte Convention Center. EpiCentre and Spectrum Center are also within 6 mi (10 km). Situated near the airport, this hotel is within 6 mi (10 km) of Carolinas Aviation Museum, Billy Graham Library, and Bank of America Stadium. Charlotte Convention Center and Mint Museum Uptown are also within 9 mi (15 km). 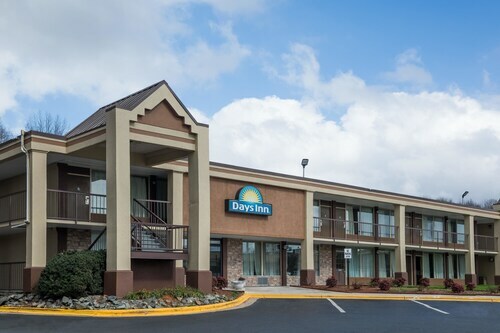 Situated near the airport, this hotel is 3.1 mi (5 km) from Carolinas Aviation Museum and 3.1 mi (5 km) from Lake Wylie. Bank of America Stadium and Charlotte Convention Center are also within 6 mi (10 km). 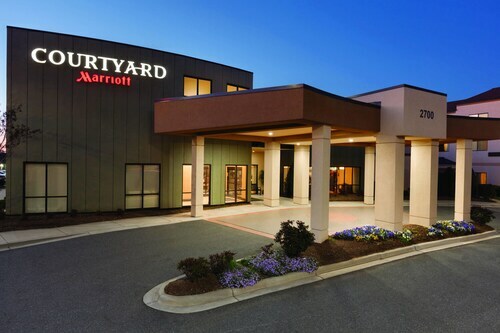 Situated near the airport, this hotel is within 3 mi (5 km) of Charlotte Regional Farmers Market, York Road Community Park, and Renaissance Park. Bank of America Stadium and Charlotte Convention Center are also within 6 mi (10 km). 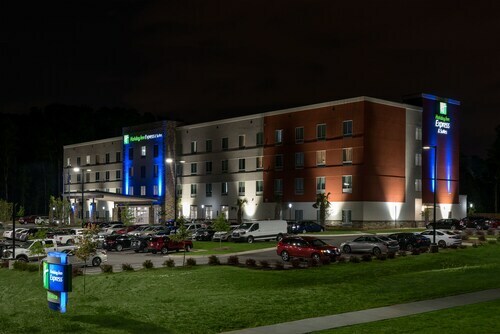 Situated near the airport, this hotel is 3.1 mi (5 km) from Carolinas Aviation Museum and within 6 mi (10 km) of Bank of America Stadium and Charlotte Convention Center. Billy Graham Library and Lake Wylie are also within 6 mi (10 km). Question : How much is a plane ticket to Charlotte (CLT) from Toronto (YYZ)? Answer : Prices range from $231 to $1,364. Booking in advance can usually help you get the cheapest rate. The further out you book your ticket, the more likely you are to save. Question : Which airline has the least delays from Toronto to Charlotte? Answer : Booking with Republic Airlines means you will arrive to Charlotte about the time you were supposed to. In fact, this airline has an 82% average for getting there on time. Question : How long is the flight from YYZ to CLT? Answer : Air Canada can take you there in one hour and 57 minutes. For example, if you were to leave Toronto at 8:55 AM EDT, you would get to Charlotte at 10:52 AM EDT. Giving you enough time for you to catch up on your reading before your plane lands. Answer : When you’re flying from YYZ to CLT, the day with the most flight times is Sunday, with 12 different options. However, with eight flight times, Saturday doesn't offer quite as many options when finding that perfect departure time. Answer : The cheapest day to fly from Toronto to Charlotte is on Wednesday. So, if you are trying to save some cash on your next holiday look for flights on that day. Question : What is the cheapest date to fly to Charlotte? Answer : Apr 24th has bookings (as of Apr 15th) as cheap as $236. That comes in 53% below the average price. Saving now gives you more moolah in your pocket. Question : How long does it take to fly from Toronto to Charlotte? Answer : Flying from YYZ to CLT, it will take, on average, two hours and nine minutes. Use your flight to finish that book, see a movie you have been eyeing, or for getting in some shuteye. My original flight was cancelled due to weather, I was then booked to arrive at an alternate destinations but at the airport, I made a switch to get to my original destination.